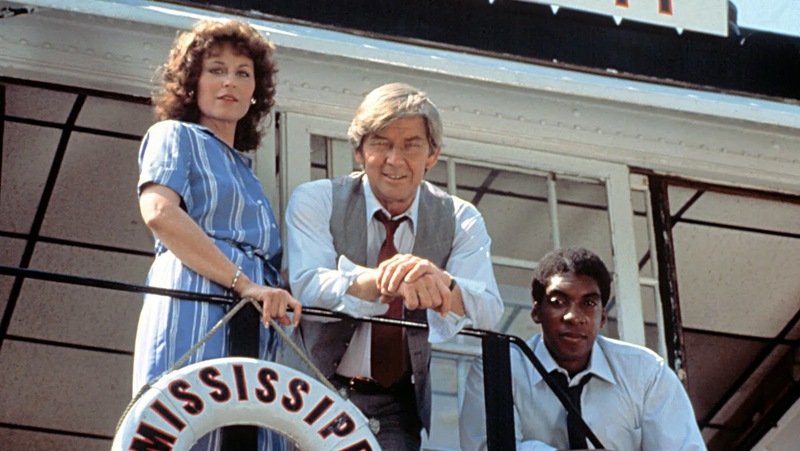 Linda Miller, Ralph Waite, and Stan Shaw, the main actors on "The Mississippi". It was another case of “I recognize that face…and that voice”, but it seemed kind of hard to believe. I was home for lunch one day watching “Days Of Our Lives”, and this old priest came on screen. He looked so familiar, but I just could not place him. Then it clicked. It had been a long time, a really long time ago. I was surprised he was still alive. 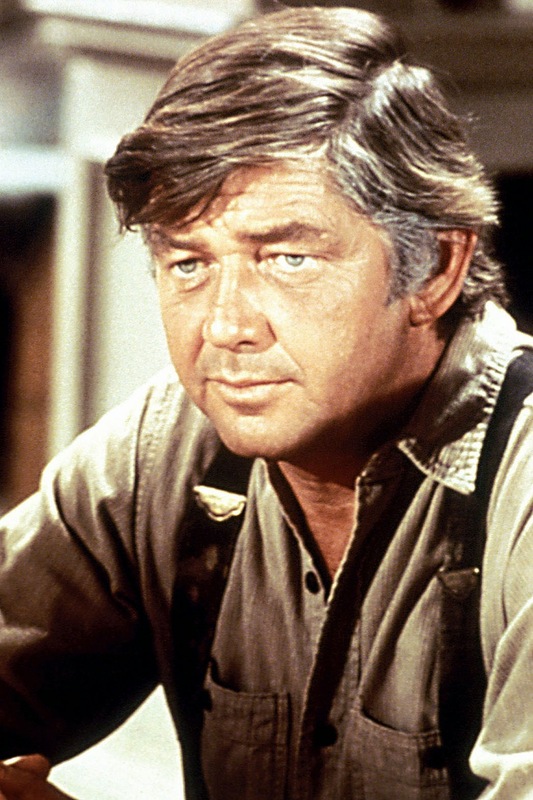 Staring me in the face, through the magic of television, was Ralph Waite, the man best known for playing John Walton Sr. in “The Waltons” which ran from 1972 to 1981. Wikipedia revealed he is pushing 85 years of age, which is so impressive. As the ‘80s opened, "The Waltons" was running its course. It had become a victim of the same malady as all family-centred, long-running TV series. The children had grown up and moved on, so where do you go? Ultimately into cancellation and the world of follow-up TV movies. in the role of John "Pa" Walton. Still, through it all, there was Ralph Waite playing the patriarch of the Walton family – owner of a sawmill during the Depression, father of six, and wise giver of advice. It was an archetypical role, one that would define him as an actor. Yet, what I remember most in the 1980s about Ralph Waite was another show he did. Simply titled, “The Mississippi” he played a southern lawyer who drove a boat along the fabled Mississippi River. I first read about the show as one of a package of mid-season replacement series CBS was unveiling. Of course, on peasant vision it did not air on Channel 13 for a few more months. Again I recall Waite’s character being very similar to John Walton – wise, calm, and measured in his response to everything that came at him. I also remember his co-star, African-American actor Stan Shaw who played his sidekick Lafe Tate. However, like so much peasant vision, only a few episodes aired before “The Mississippi” disappeared into the ether. It was too bad, because the reason the show interested me was Ralph Waite. 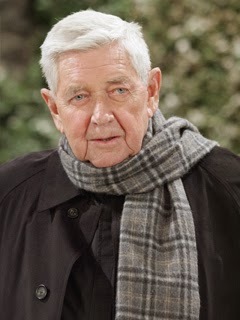 television, Father Matt on "Days Of Our Lives"
The next time I saw Ralph Waite was playing Kevin Costner’s character Frank Farmer’s father in “The Bodyguard”. Again, he played the calm yet confident and stern father figure. Playing a priest on “Days Of Our Lives” is the next logical step in a lifetime of roles as sage paternal figures. He truly has gone from “Pa” Walton to “Father” Matt. Some would call it typecasting, but Ralph Waite’s longevity proves it is more than that. It is a style that makes him an actor that directors want to hire, and viewers want to see. How many other actors are still working at 85? After I first posted this entry, Ralph Waite died. Still, who can claim, especially actors, that they worked until their last day on Earth. Ralph Waite can.